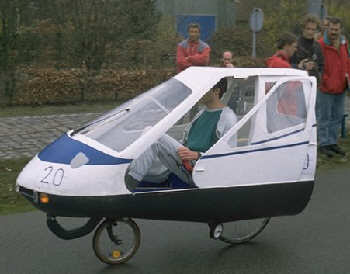 The Desira was developed by Stefan Gloger and is steered by a “joystick”. 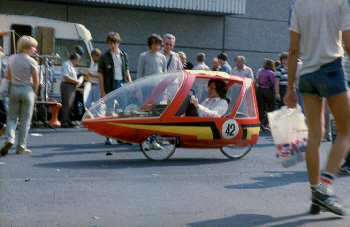 It is a twicycle, and a lot of information is available here. 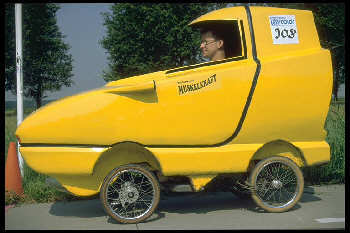 He improved his vehicle and built a 4-wheeler, the “Desira quattro”. 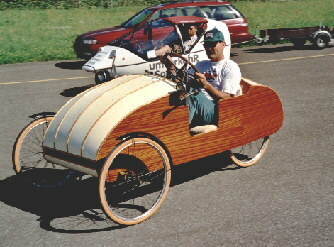 This early vehicle is the “Veleric”. A lot of vehicles were built, but only a few were sold. 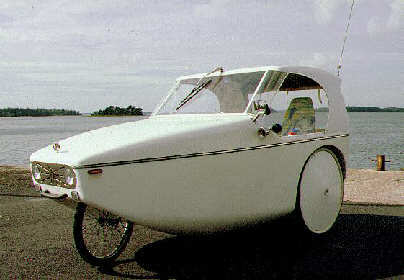 The perspirator is a velomobile from finland with eiectric assist. The “Trelo” was a product apparently delivered by the German mail order company “Otto”. But only a few were sold.